Just a few days left before the competition. I’ve been doing a bunch of last minute equipment testing. John Greenwood added another little shaft tweak to the ultralight shaft I’m going to be using that added a little stability but also gave me what looked like another 5-10 yards. That’s a mile in long drive! I wasn’t sure if what I was seeing was right, so I also spent some time with Leith Anderson and Dave Balbi over at their new facility on the flightscope radar system. That was a cool place to test clubs. I was able to hit all 10 of my long drive clubs and compare the results side-by-side. The great news was that the field results I was seeing also showed up on the indoor radar. We’re off to do a bit more testing on Saturday morning, then I head for Mequite. We might be on to something with these light weight shafts. My guess is that almost none of the other long drivers will be trying it. I will admit that the timing can be difficult, and when I’ve got the adrenaline pumping it can be hard to be patient at the top, which is what these shafts require. But all the low-energy swings I have been doing have been good training for that. Plus I’ll be taking the exact same club that I hit 385 yards in the Regionals to win the tournament. So I have a lot of confidence in the way the club will perform under pressure. I’ll be on the tee on Monday at 3:30. There are 78 competitors in my division, and by the end of the day the field will be cut to the best 12. The top 12 then move on to the semi-finals on Friday morning. My goal is to be one of the top 12 guys left standing. If you’d like to follow the action online, visit www.longdrivers.com and click on the WLDC link. Here’s a quick video of me practicing speed drills. I’m making full swings, and my shoulder feels good. Eric, I appreciate your videos. Before I buy, please answer a question for me. Can your system help a 71 year old player? This player has played all his life at every level. He is in good shape, but has lost 30 to 50 yards off the driver. 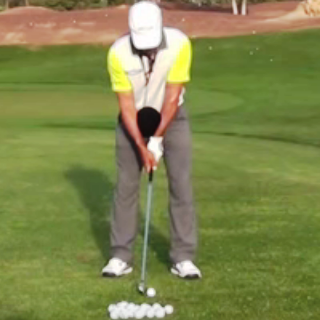 His long game handicap is 3, but his short game handicap is another matter. Good question – Does age matter? The key to more distance is speed. It’s up to you to determine what your body can do at 71 years of age. Personally, I think it’s awesome that you are out there looking to get better! What you will learn from the program are the key concepts behind distance, and methods for incorporating the concepts into your swing. 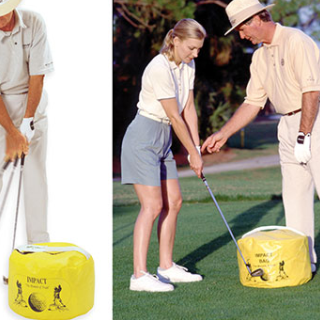 The benefit is that you won’t have to guess what is happening in your swing. You’ll know what should be happening, and why Tips don’t work. After that it is up to you to implement, but I do my best to provide drills and a practice structure to help you get there. Knowledge is power.